You can rent comfortable bikes for your riding pleasure. They are all equipped with an adjustable stem, and gel-filled saddle with springs. The Hybrid Bicycles also have suspension seat-post. They come with a rear rack and are available in men's or women's, with or without Nantucket bike baskets. Hybrid (Sierra 7 or Switchback): An adult comfort model, a hybrid is a cross between a mountain bike and a road bike. They are easy to ride, and are designed for comfort and versatility. On a hybrid you are sitting upright, with a gel ergonomic saddle and suspension right in the seat post for added comfort. The tires are designed for both dirt and pavement: they are rugged on the sides and smoother in the center. They can easily handle a graded dirt road, or the occasional patch of sand on the bike paths. 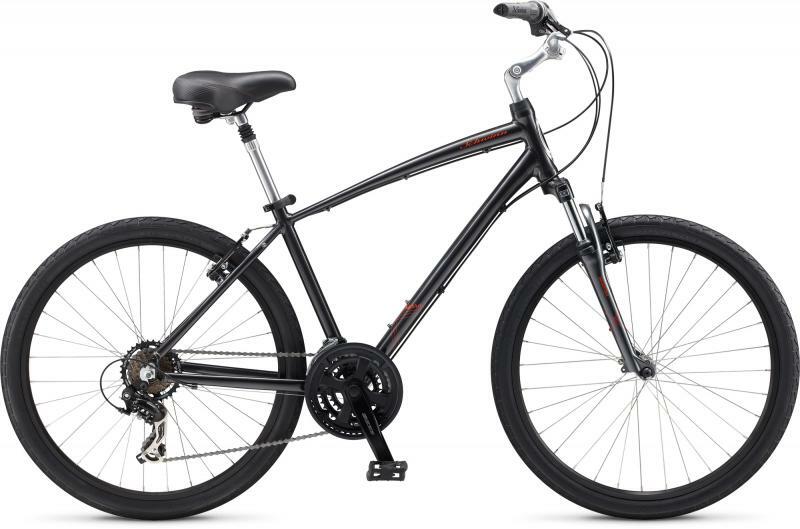 Available in a standard 7 or 21 speed model, or an upgraded Deluxe model (see below), which has additional suspension on the front fork, and upgraded components for an even smoother ride.  Light-weight alloy traditional diamond frame.  Dual use tires are designed for both and pavement.  For easy going on both the paved bike paths and dirt roads.  7 or 21-speed Shimano gears.  Available in Men's and Women's frames. 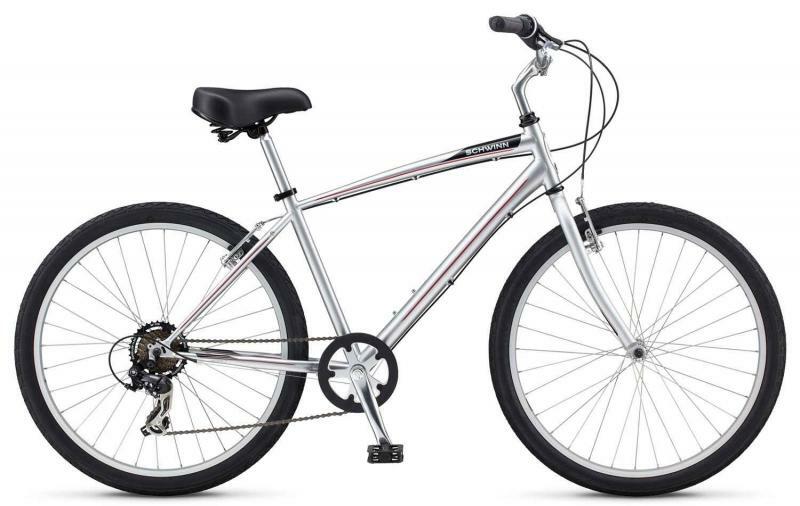 Deluxe Hybrid (Sierra GS or similar): Our most popular bike! 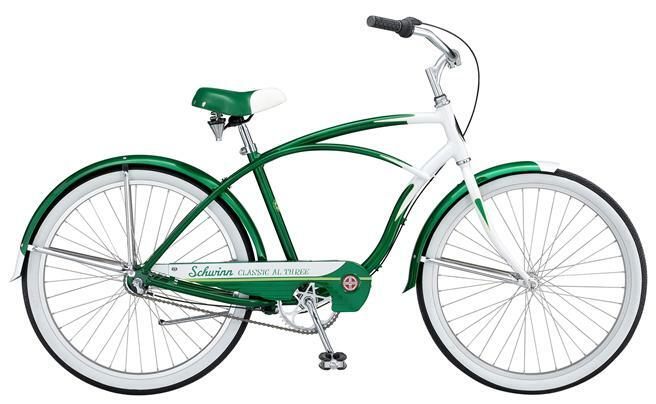 You'll enjoy cycling even more aboard Schwinn's Sierra 21. Its lightweight aluminum frame is specifically designed to maximize your comfort and it features a low top tube that makes getting on and off easier. This sweet bicycle boasts quality components throughout, too. From the simple-to-operate 21-speed drive train that makes easy work of the hills, to the powerful brakes that deliver safety and control, it's ready for all your favorite rides. And, you'll especially love the bump-busting suspension seatpost and fork, back-friendly, upright riding position and a comfy seat. It ensures miles of smiles and cycling enjoyment.  For easy going on the paved bike paths and dirt roads.  21 or 24 speed Shimano gears. 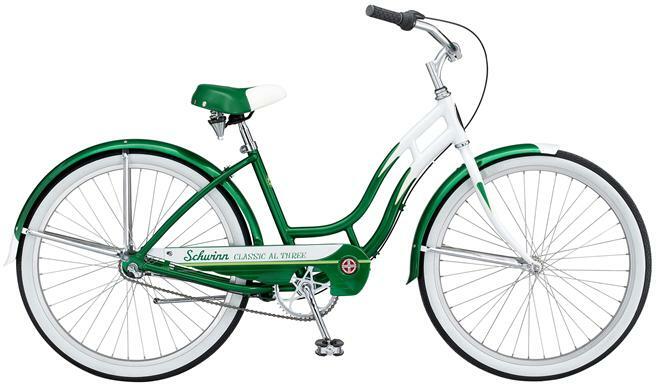 Schwinn Cruiser: This classic, retro-style bicycle is based on the 1955 Schwinn and retains all of its original style, but it has been upgraded with internal nexus hub shifters for an extra pleasurable ride. The classic super wide Schwinn saddle is still there too, and so are the coaster brakes (foot brakes.) In addition to being super-comfy, these are bikes are a lot of fun. So try a Cruiser and cruise the "Fog Island" in style!